Looking to better your riding skills and have some fun? 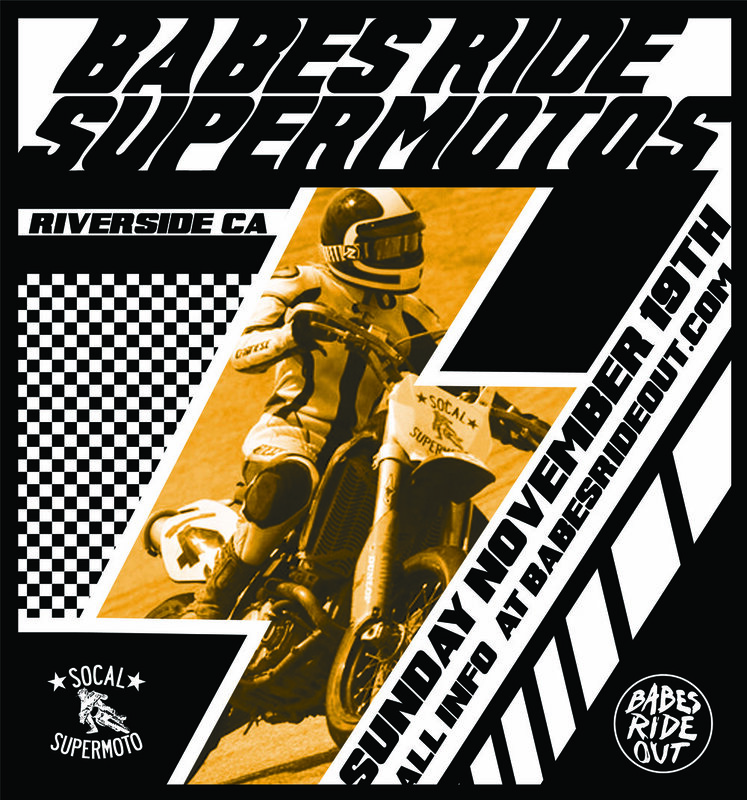 Join us for Babes on Supermotos on Sunday November 19th in Riverside, CA! So Cal Supermoto hosts training classes throughout the year and Babes Ride Out is taking over for a day of ladies only good times! What is the Supermoto School? Our Supermoto School days are designed to introduce the average street/dirt rider to the insanely fun world of supermoto trackdays. You will become a better rider, and you will have an absolute blast. The track is located at Adams Motorsports Park in Riverside CA. Professional Track-side photography of your sessions. There are some gear options available at So Cal Supermoto for free but not everysize is represented. So Cal Supermoto suggests that if you are not average size to bring your own gear including: Full gear, textile or leather including knee, hip, back, elbow, and shoulder protection, supportive full ankle boots, dot full face helmet, gloves, water. 3. select Sunday, November 19, 2017 8:15 AM, Babes Ride Supermotos!!!! and click BOOK IT! FIRST COME FIRST SERVE SO SIGN UP QUICK! THERE ARE ONLY 15 SPOTS.